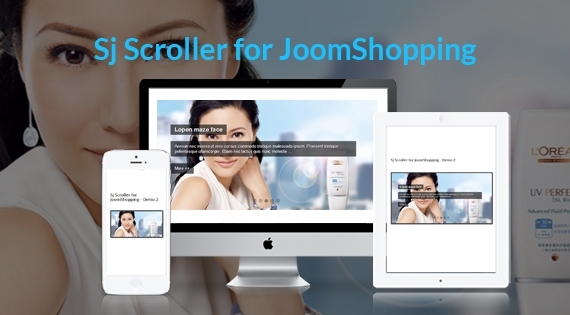 SJ Scroller for JoomShopping - a responsive module from our scroller branch with timer and mini-slideshow has been released. We developed this module for JoomShopping component to use as a front-end showcase of products. We are in need of presenting products in an attractive way. Using this module allows us to show featured JoomShopping products with title, description, review stars, links under so many cool effects... Supporting responsive layout for any devices means that this module would serve for any traffic sources and visitors with handheld devices. With many styles for navigation buttons, timer positions and visual options, SJ Scroller for JoomShopping offers unlimited configuration for your Website.